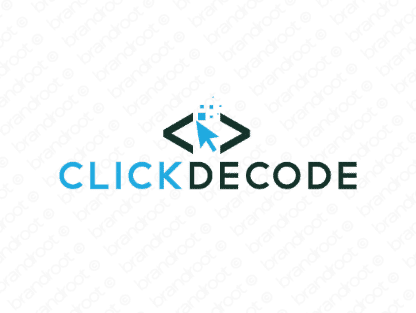 Brand clickdecode is for sale on Brandroot.com! This combination of "click" and "decode" is a smart technically inspired name that simplifies with ease. Clickdecode is a great choice for a broad variety of IT and online businesses offering simple and easy to use solutions for their customers and clients. You will have full ownership and rights to Clickdecode.com. One of our professional Brandroot representatives will contact you and walk you through the entire transfer process.